As remnants of Hurricane Ophelia head towards the UK, Environment Agency officers have been working with partners to prepare for possible coastal flood impacts. Recent flood forecasts suggest that minor coastal flooding is possible along the southwest coast. Environment Agency teams are on the ground undertaking routine operational activities to minimise flood risk. This includes: clearing trash screens, checking vulnerable locations and coastal flood defences, and being ready to close tidal gates where necessary (for example at Lympstone, East Devon). Teams are also preparing for recovery with plans in place to undertake asset inspections after Ophelia, to ensure readiness for further disruptive weather events. Personal safety warnings advising against driving through flood water and taking risky ‘storm selfies’ are also being communicated via social media by national and local media teams. 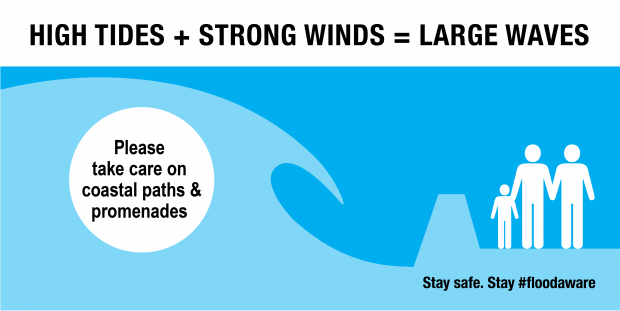 On Monday and Tuesday, gale force winds along the southwest coast will cause large, strong waves and spray which could lead to some minor flooding. We urge people to stay safe along the coast and warn against putting yourself in unnecessary danger by taking ‘storm selfies’ or driving through flood water – just 30cm is enough to move your car. Environment Agency teams are on the ground checking defences and are working with partners including the Met Office to monitor the situation. We will issue flood alerts and warnings if needed. Please check your flood risk and sign up for our free warnings at www.gov.uk/flood or by calling 0345 988 1188. Following the launch of Defra’s Ivory consultation earlier this month, Roland Oliphant from The Telegraph has written an in-depth feature piece on the proposed ban on the sale of ivory, and the government's operational work to tackle the illegal wildlife trade. The piece, which appeared in The Sunday Telegraph , highlighted the success of our recently launched ivory consultation and carried an exclusive quote from the Secretary of State. 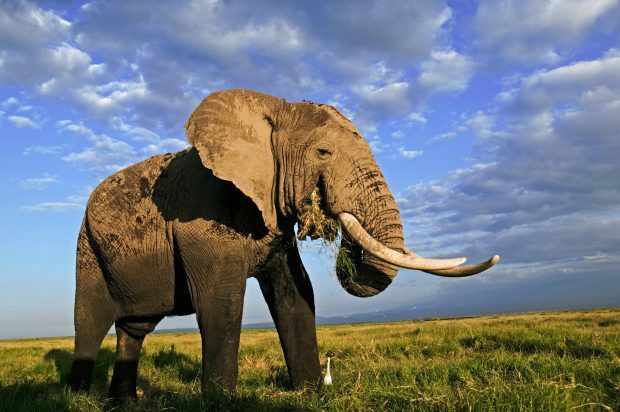 The UK is front and centre of global efforts to end the ivory trade, which contributes to the slaughter of almost 20,000 elephants every year. Our plans to ban ivory sales will stop elephants being seen as a commodity for sale and strip its status for buyers and traders – complementing the world leading work of enforcement agencies to detect hidden wildlife products along global trafficking routes. There is coverage today in The Times, I and The Daily Telegraph of a WWF report into the state of rivers and other waterways in England and Wales. River quality is at its best since the industrial revolution, but there is always more to do. The Environment Agency has set tough targets for the water sector to reduce pollution incidents. There have been dramatic improvements to water quality over the last two decades but there is more to do to continue this trend and protect the environment in the future. We have set more stringent targets for the water sector, stated they must do more to reduce pollution incidents and in the most serious cases taken enforcement action leading to record fines. Our rivers are the cleanest they have been since industrial times and we’re working with the water industry to meet tougher targets and improve their planning and investment in wastewater infrastructure. We will continue to enhance our natural landscape and improve water quality as we deliver on our plans for a Green Brexit and our ambition to be the first generation to leave the environment in a better state than we inherited it. To mark the 30th anniversary of the 1987 Great Storm, yesterday’s Observer (15 October 2017) looked at the storm’s legacy on woodland management – then and into the future. Countryside and landscape managers reflect in this piece how the storm marked a turning point in how we manage our woodland. Not only did it show that decay and destruction can have positive effects on woodland, but it also forced us to think more about how we protect woodland, promote diversity in landscapes, and adapt to extreme events. To buffer and filter high winds, for example, woodland managers have created ‘shelter belts’ of trees. Since the storm, the Forestry Commission has continued to look at how we manage the impacts of future storms – introducing special technology to help landowners estimate the probability of wind damage and identify the most resistant species of trees. As the Observer piece outlines, the Great Storm brought disruption and devastation – but it has helped to reshape our woodlands for the better.